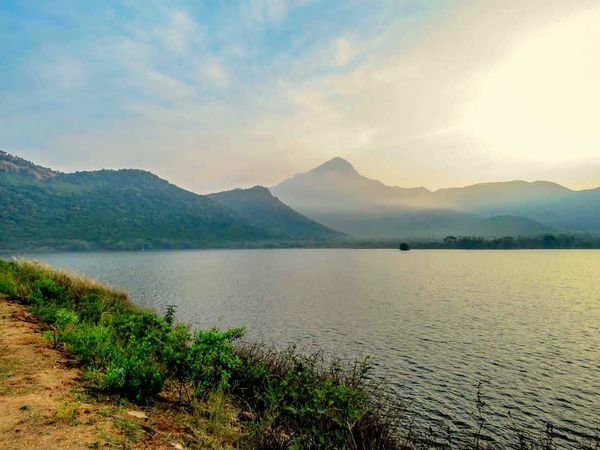 Nagalapuram located at the foot hills of Eastern Ghats is one place you cannot miss out if you like water & adventure!! 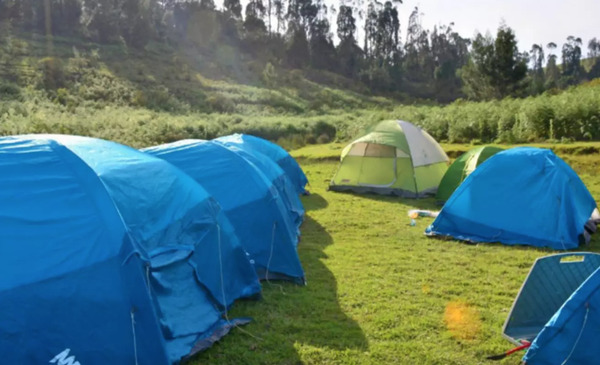 The beautiful trek of Nagalapuram offers majestic mountains, fresh water streams formed by rains uphill, pristine water falls, and a dense forest to make you feel thrilled. As you trek into the jungle, you will encounter Water-fall after Water-fall. Each water fall is unique, they feel like a set of natural swimming pools. 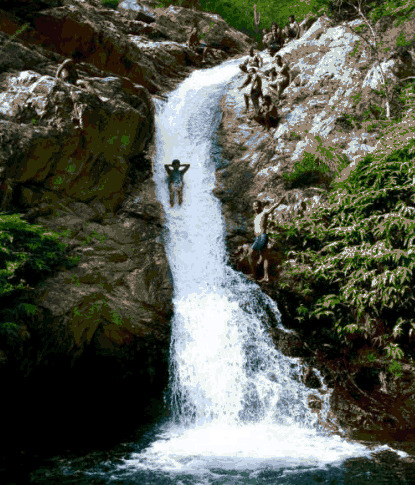 There is a sliding option too at one of the falls! 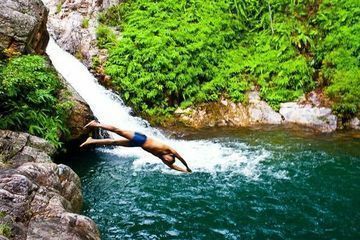 Ever dreamt of jumping off a cliff into the ice cold fresh water pond with your life-jacket on? You can do it in Nagalapuram! Join Muddie Trails in this amazing adventure filled trek and make your dream come true! 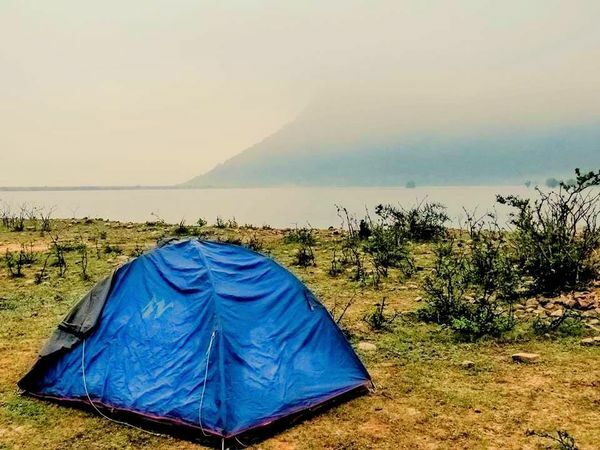 Saturday: Reach Nagalapuram home-stay & freshen up, have hot hot south Indian breakfast, get your packet of packed lunch, and head out for the awesome Nagalapuram waterfall trek (The trek starts at a huge lake overseeing majestic mountains. 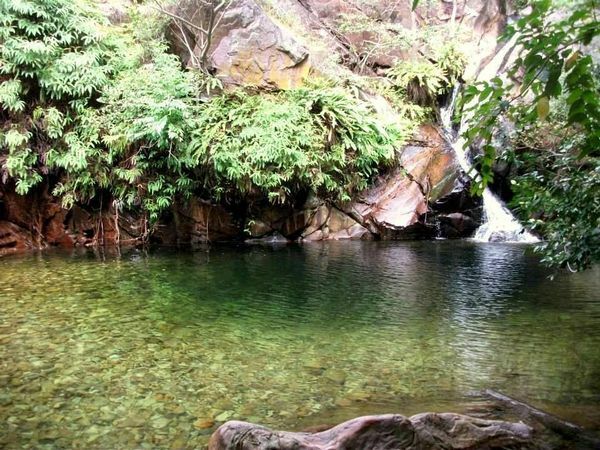 Difficulty level - Moderate), visit many water falls en-route the trek, pick a waterfall to play & pick a natural swimming pool to jump! (We will provide life-jackets) Just play, eat, dry-yourself up & again play till you are tired! As the sun sets, head back to the lake to pitch our tents by the lake. Have freshly prepared dinner by our forest guide's family, set up the campfire (if it doesn't rain at the time) & spend overnight under the stars! Sunday: Wake up late, pack up, go back to home-stay to freshen up, have breakfast and head out for a visit to a famous temple & then a mini-trek to another waterfall & take another dip, have self-sponsored lunch and then start our journey back to Bangalore. Reach around 10 PM. Drop at same spots as you boarded. If by any chance we get late (after 10:30 PM), Muddie Trails shall drop single woman travelers at their door steps..
Inclusions: Travel, Tolls, Parking, Andhra entry fees for our mini-bus/tempo, Rented tents for night, Rented life jackets for pool, Home-stay for 2 mornings (Sat, Sun) to freshen-up, Forest-guide fees, Breakfast, Lunch, Dinner of Saturday, Breakfast of Sunday, Campfire, Organizer to look after all activities & a lot of Entertainment! Exclusions: 1 lunch on Sunday, any other miscellaneous expenses that are not mentioned in inclusions above. then you may register your slot by making payment.